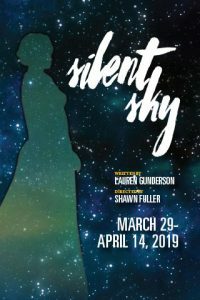 Because of the weather, auditions for Silent Sky are POSTPONED until Sunday 2/17 at 7 pm. Callbacks will be Monday 2/18 at 7 pm. 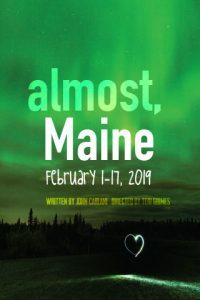 For those who auditioned Feb. 10 and cannot make the Monday callback, please come to the Sunday 2/17 audition or contact Shawn Fuller at 360-647-9242 or fullerwalbeck@gmail.com. Thank you for your patience. Stay safe out there! The auditions will be cold readings and a few theatre games. Contact the director, Shawn Fuller, fullerwalbeck@gmail.com, if you would like to check out a script ahead of time. THE STORY: When Henrietta Leavitt begins work at the Harvard Observatory in the early 1900s, she isn’t allowed to touch a telescope or express an original idea. Instead, she joins a group of women “computers,” charting the stars for a renowned astronomer who calculates projects in “girl hours” and has no time for the women’s probing theories. As Henrietta, in her free time, attempts to measure the light and distance of stars, she must also take measure of her life on Earth, trying to balance her dedication to science with family obligations and the possibility of love. The true story of 19th-century astronomer Henrietta Leavitt explores a woman’s place in society during a time of immense scientific discoveries, when women’s ideas were dismissed until men claimed credit for them. Social progress, like scientific progress, can be hard to see when one is trapped among earthly complications; Henrietta Leavitt and her female peers believe in both, and their dedication changed the way we understand both the heavens and Earth.